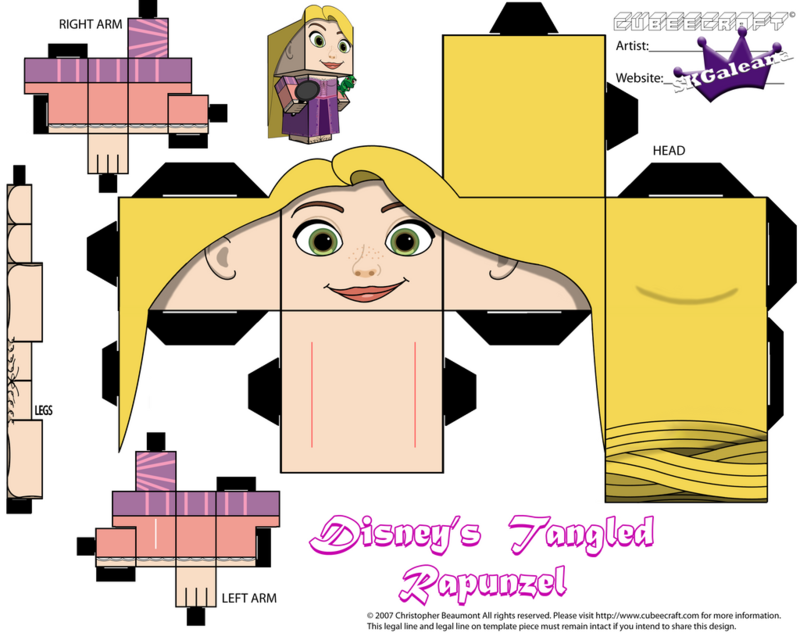 This cubeecraft is Rapunzel from Disney’s movie Tangled. She is a two parter. You need both parts to create this cubeecraft. 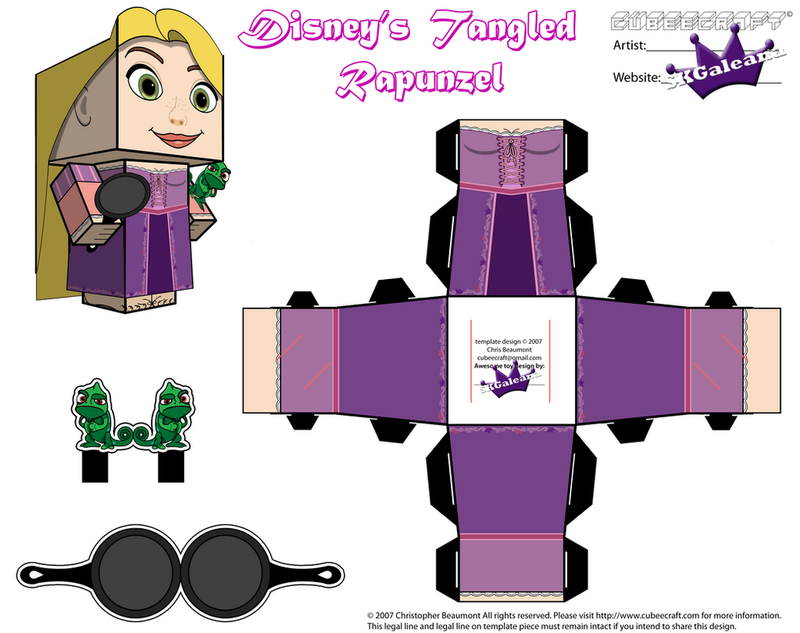 Not only do you get Rapunzel but you also get Pascal and her trusty frying pan. There is an area to cut on her arm to slide Pascal in.